Hon. Brent Symonette, Minister of Financial Services, Immigration, Trade and Industry recently along with Tanya McCartney, CEO and Executive Director of The Bahamas Financial Services Board , Mr. Michael Paton, Deputy Chairman of the Securities Commission of the Bahamas and past Chairman of BFSB, Mr. Ivan Hooper , Co-Chairman of The Association of International Banks and Trust companies (AIBT) and Indira Munro-Farrington , Marketing Officer at BFSB, travelled to Zurich and Geneva Switzerland as well as to London, England from November 26th – December 2nd, 2018. 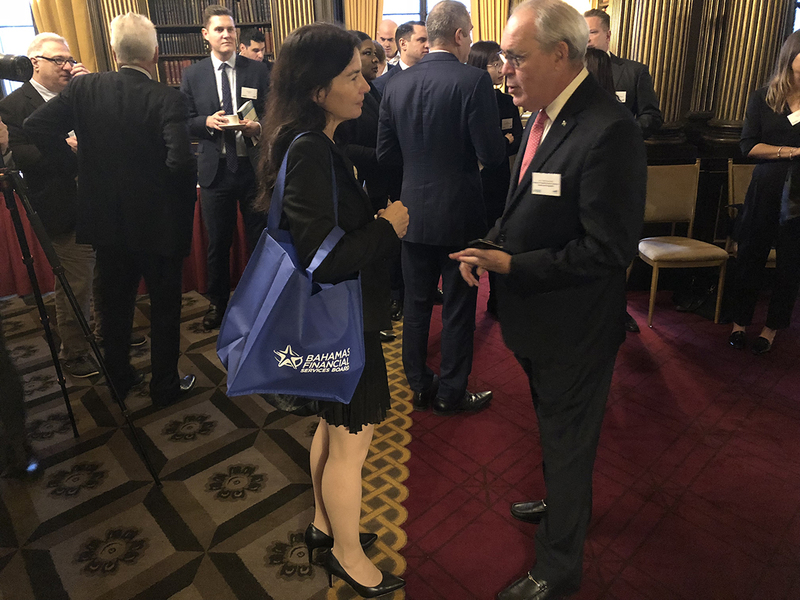 The purpose of the trip was to meet with executives of a number of the Swiss financial institutions with a presence in the Bahamas and to host a Bahamas Forum in London for service providers and intermediaries in the UK financial services sector. 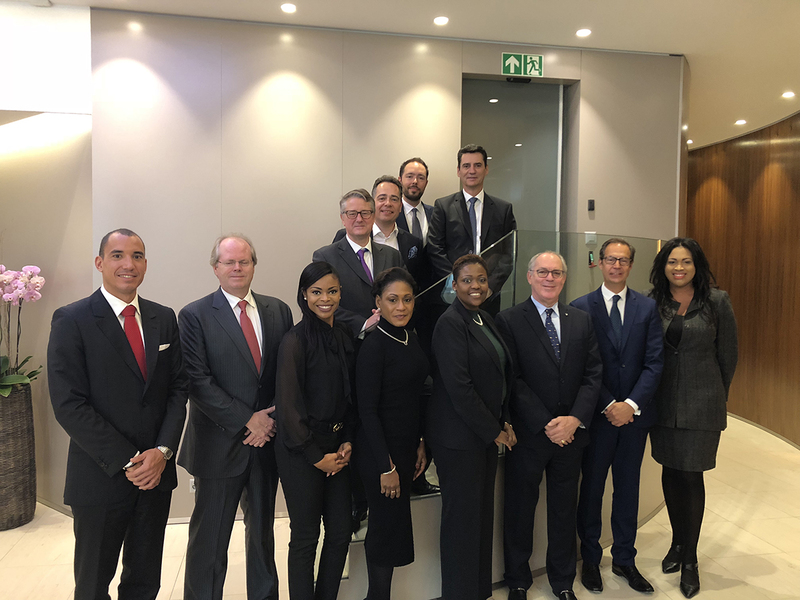 While in Switzerland one on one meetings were held with officials at UBS Group AG, Credit Suisse Group AG, The Pictet Bank Group, SYZ Bank, Union Bancaire Privee, Gonet Bank & Trust and Safra Bank. 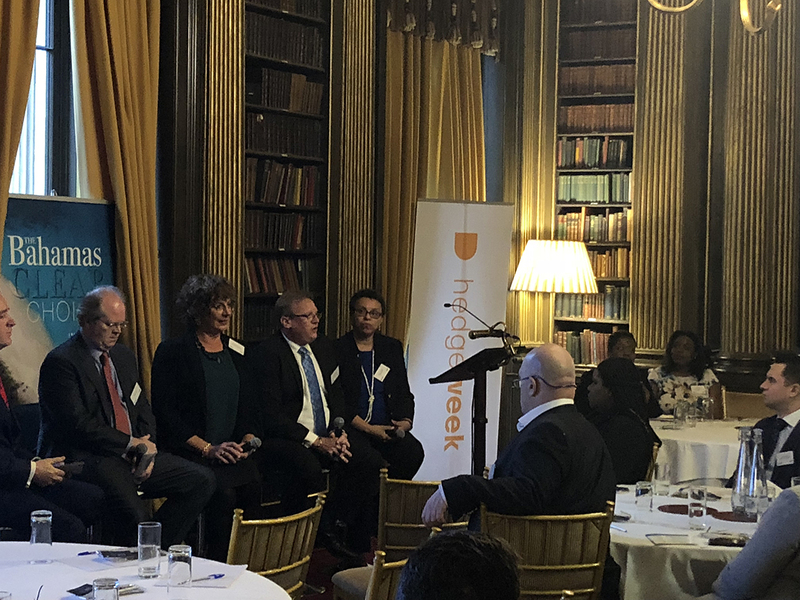 The delegation provided updates on The Bahamas’ response to the various international initiatives impacting the financial services sector. 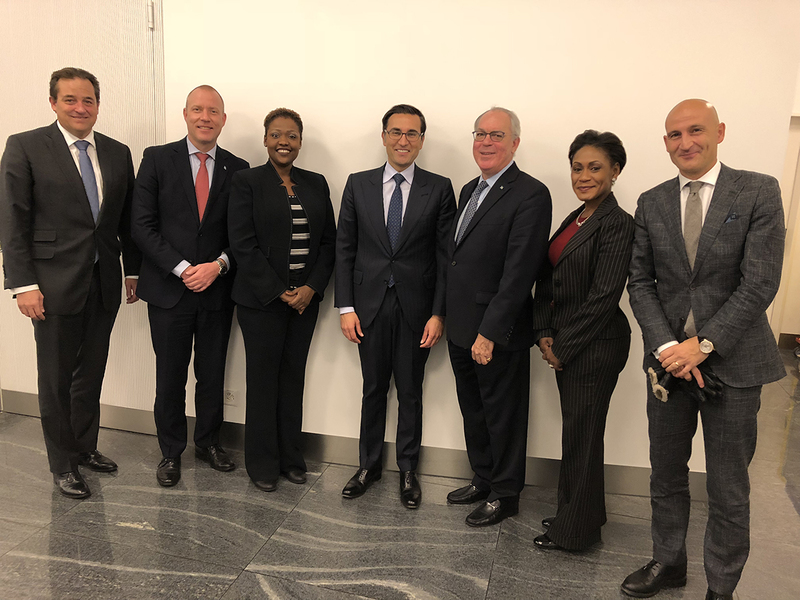 It was deemed an opportune time to inform Swiss executives of the measures being taken by the Bahamas to address EU, OECD and FATF matters. Further, they were informed as to the various pieces of legislation slated to be passed during the month of December. 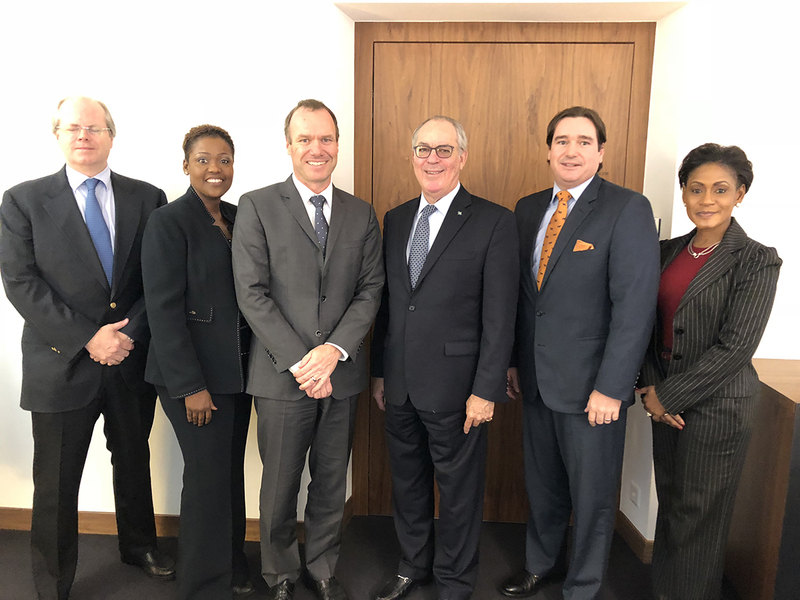 The meetings were positive, and the Swiss financial institutions shared their strategies for growth in the Bahamas. 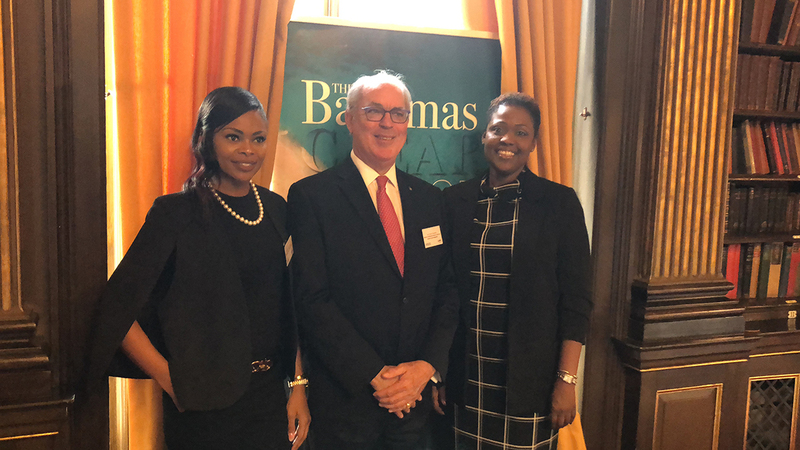 During this visit, Tanya McCartney, CEO & Executive Director of BFSB also paid a courtesy call on to the High Commissioner Greenslade at the Bahamas High Commission London who was also in attendance at the London Forum. His Excellency Ellison Greenslade and his wife welcomed BFSB CEO & Executive Director, during which time they exchanged pleasantries and updates relevant to the Bahamas.